...Or you can use it as a stand-alone product. Perfect if all you need is to create floor plans/seating charts. Includes the floor plan, attendee list and check-in tools. "The floorplan tool gives us a great starting point with clients so we can all visualize the same layout!" See why more event professionals and venues rely on our tools to build their businesses! Simply drag-and-drop tables, chairs, floors, walls and a variety of other elements to create to-scale event floor plans. No graphic design or CAD experience necessary. Once your elements are in place, drag-and-drop guests onto chairs. Our seating chart maker lets you set up seating arrangements for any kind of event, including fundraiser galas, banquets, meetings, corporate events, parties, receptions and weddings. It’s also a great tool for event venues, restaurants and hotels. Create reusable seating chart templates for standard setups. Our event seating chart creator integrates with our guest list tool so you can track event registrations and event RSVPs; manage contact information; and place guests from lists onto seats to display details like names and meal choices. Use our guest check-in app to welcome guests as they arrive and direct them to their seat on the table seating chart. Once you check them in, their arrival date and time is logged into the system for attendance counts. Now you can give your staff, clients and vendors access to seating charts for easy online collaboration. Or download and print out full-color PDFs of your seating plans plus name badges and equipment lists. More event professionals prefer our tool because it’s an all-in-one event design tool for creating assigned seating charts, customized event floor plans, equipment lists and more. Add round, rectangular, square and oval tables and set custom sizes and chair counts per table. Choose from standard chair sizes and types. Choose from dozens of design elements like chair rows, floors, stages, doors, walls, trade show booths and more. Easily duplicate and rotate items. 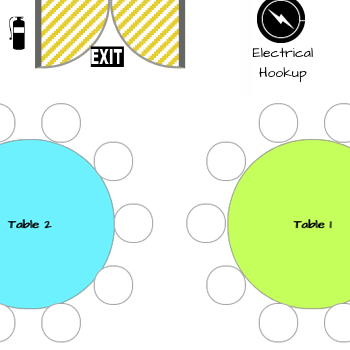 Build reusable templates for table and seating arrangement setups you use frequently. Create libraries for seating charts for specific venues and spaces. Set up each event seating chart with the exact length/width dimensions of your room or space. Upload background CAD images for uniquely shaped spaces. Create custom event websites to collect RSVPs, free/paid registrations and attendee details and preferences (Event Management plans only). Upload and manage attendee details, including contact information, Plus Ones, RSVPs and meal choices. Easily assign these attendees to seats in your event floor plans. Download printable, full-color PDF files of your table seating chart designs. Export equipment and guest lists. Download name badges formatted for Avery templates. Keep your lines short at the door by using our check-in tool to process guests as they arrive and direct them to their tables and seats. When you are creating event table layouts and seating plans, there are three things that matter more than others. Accuracy - You want your seating charts and floor plans to represent what you will get in real-life so that you aren’t cramming too much equipment, tables or chairs into the allotted space. Aesthetics - Because we are usually showing seating arrangements and event designs to our team, peers and clients, we want to make a big impressions and don’t want them to look slapdash. Time - We are all pressed for time, and although we want our seating charts to look professionally designed and be accurate, they shouldn’t take hours to build. The best seating chart makers give you the tools to create highly accurate and aesthetically pleasing designs in a short span of time (usually less than an hour). So what should you look for when evaluating such a tool? Consider these eight attributes. What comes before adding guests to seats in a layout? Managing contact info for those guests in an organized fashion so your seating plans are detail-rich with items like names, RSVP status and meal choices. Guest list managers can also come with features like at-the-door check-in apps and Excel file downloads. And what comes before a guest list full of rich information? Collecting that information via customizable event websites equipped with registration and RSVP forms that electronically feed that data into your guest list. 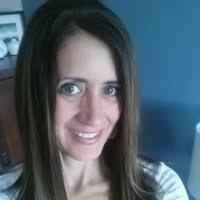 An added bonus is the ability to collect registration payments and detailed responses to custom questions. Top tools allow you to build layouts for any type of event, including wedding reception seating charts, banquet table setups and seating plans for dinners, galas, parties, conferences, concerts, classrooms and corporate meetings and events. Do your event spaces typically have unique contours and dimensions? A solid seating chart generator will allow you to easily replicate those dimensions so you can build restaurant seating charts as well as seating plans for hotel meeting and ballrooms, reception halls, conference centers, wineries and even arena-like layouts for concert halls and theaters. Any seating chart maker worth its weight should offer a variety of table and chair element options, but the more advanced ones will also offer architectural elements like walls, floors doors; staging elements like podiums and lighting; A/V elements like amplification systems; and exposition elements like trade show booths and aisles. This is where Web-based seating chart apps excel because they have the flexibility to allow others to access to seating charts via the Internet to provide feedback and even create and edit shared designs. This allows an entire team of planners and vendors (like caterers and rental crews) to see designs ahead of time. An added bonus are features that offer 3D walkthroughs to enable users to fully visualize the setup as well as other integrated event software tools for collaboratively managing budgets, timelines, etc. Most popular event design tools offer drag-and-drop functionality so you can simply place elements on the layout or drop attendees onto seats (or drag them off seats to remove them). In addition, some table plan software apps are also mobile-friendly and can be used on both computers and mobile devices. If you are seeking to make an impression on vendors or internal / external clients, customizations will help you sell through your ideas. Such features can include customizable colors and fonts as well as background uploads. A timesaving feature to look out for is the ability to create seating chart templates for designs or setup you use repeatedly.